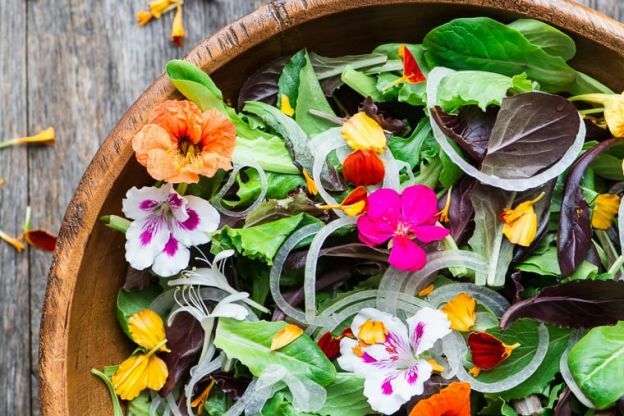 Flowers don't just look good—in the right dish, they also taste good! In this recipe, they're added to mixed field greens and thinly sliced onions for a visually stunning presentation. Though it's a simple dish, it will make quite an impact! Find the recipe here.